I am obsessed with these nails, and I'm super happy of how they turned out. One of my friends did these for me, and it seriously took around three hours. Its been almost a week, and every gem and bow is still in place. No marks or damages on them! Super amazing. If you live in Orlando FL there is such a cute little cupcake place called Sweets. Every Monday they have these mini cupcakes for $1. I don't always go, but whenever I do I always get 12 to munch on. 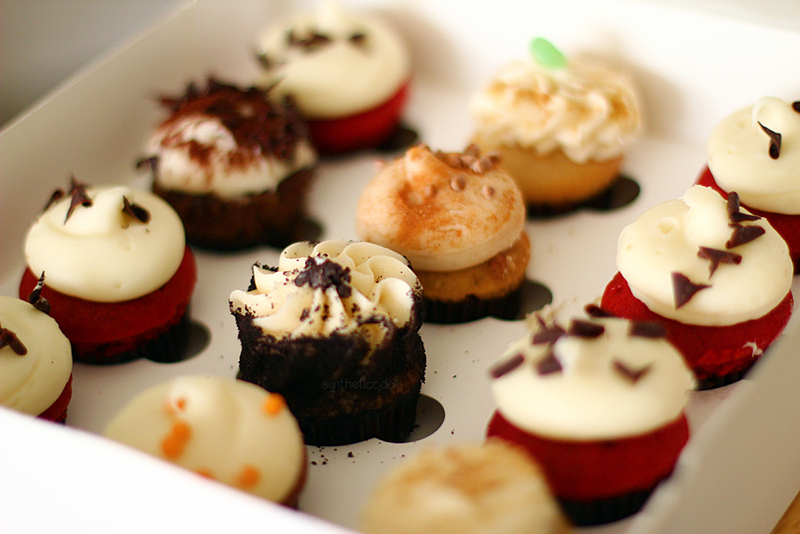 Red velvet is so yummy. Before someone asks this.. Yes you are allowed to enter both sections! What type of videos would you like to see from me? Why do you watch my videos/What do you like about them? 4. There is no limit on how many times you comment, however please don't copy and paste the same answer repeatedly. 5. Giveaway Opens July 8- Aug 5. 2013. 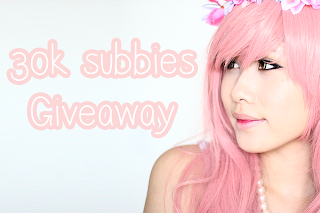 Winners will be announced on my Twitter, my Channel Feed & as a comment through this video on August 9th. No one ever does contests anymore! But I love them. : ) I hope you guys do too. The judges will be my boyfriend and I, and possibly my best friend depending on how many entries I receive. 3. Create a video based on the theme of either an anime inspired look, or a masquerade look. 5. Please don't recycle an old video. I will not accept any video uploaded before this date (July 8th). Also I will not accept any entries that have been used for another contest. 6. Leave the video response to this video. All videos will have to be approved before they show up on the Video Responses section. If you don't see your video there within 48 hours please message me! 8. Winners will be announced on my Twitter, my Channel Feed & as a comment through this video on August 9th. 9. If you have any questions message me, or tweet me and Ill reply. The comments section will get spammed pretty bad, so I won't be able to reply to any questions on there. Goodluck! Disclaimer: Nothing in this contest/giveaway was sponsored, everything was bought with my own money. 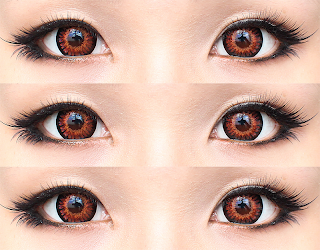 These are Geo Princess Mimi Chocolate Brown lenses. Forever one of my favorite lenses of all time. How in the world does Tsubasa design such vibrant and gorgeous lenses so well? The lashes are from Tonymoly ( No idea which ) I layered them with an ardell pair though. 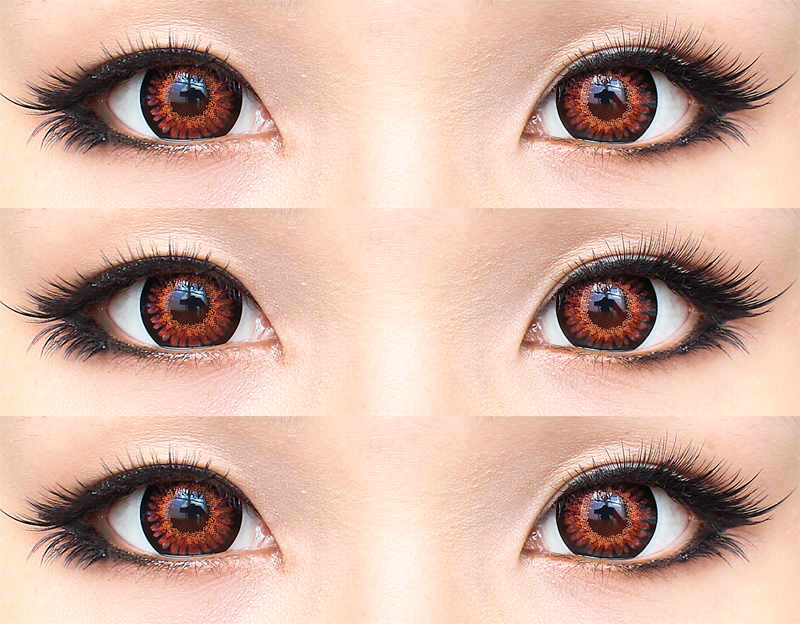 The effect came out really similar to Dolly Wink lashes, but cheaper, and a bit more thinner and flexible.